The holiday season will soon be upon us and we are busy preparing for the Nutcracker Suite Performance! If you are receiving this email, your child is enrolled in a Discovery ballet class (age 3 and older), and will be participating in our annual Nutcracker Suite Winter Recital. The teachers and students are beginning to prepare their dances and look forward to sharing the performance with friends and family. Please review all of the information below, as it contains extremely important details about the shows. We will again have two shows this year, the first at 11:00am and the second at 2:00pm. Both shows will take place at 251 W. 100th St., New York, NY 10025. Both recitals will be on Sunday, December 16th. Most classes will be performing in only one of the two shows, but some classes will perform in both (see below). Your child’s role and show can be found at the end of this email. Doors will open 20 minutes before the performance at 10:40am, however parents/family line up much earlier upstairs. All parents and family must exit the lower lobby. Doors will open 20 minutes before performance at 1:40pm, however parents/family line up much earlier upstairs. All parents and family must exit the lower lobby. Entrance is between Broadway and West End Avenue, marked by ramp. If your child is in both performances, parents may choose which performance you would like to attend (or you can attend both). Your child must participate in both recitals. The children will have a break until 12:45pm. Discovery provides the costumes for the Nutcracker Suite on the day of the performance. Children will not be keeping the costumes. For the rehearsal and show dates, dancers can arrive at Discovery in the normal ballet uniform that they wear to class each week. We will have one rehearsal for each class. Please see below for your child’s rehearsal time. Please let your teacher know, or email Katie at katie.discovery@gmail.com if you are unable to attend the rehearsal. The rehearsals are drop-off. Parents are welcome to wait in the upper landing while the classes run through the rehearsal. All dancers receive two complimentary tickets to the performance. Families can also purchase additional tickets at the Front Desk on a first come, first serve basis. All tickets will be ready for pickup starting Wednesday, November 7th. Separate tickets will be sold for the 11am and 2pm performances, so please specify which show your child is performing in when purchasing your additional tickets. For families with children performing in both shows, you will only need to pay for one set of extra tickets. Each additional ticket is $15 for adults and $10 for children, cash or check only. Children who are able to sit in a parent’s lap do not need to buy a ticket. Families must pick up/purchase all tickets by December 14th. There will be no will-call or ticket sales on the day of the performance. 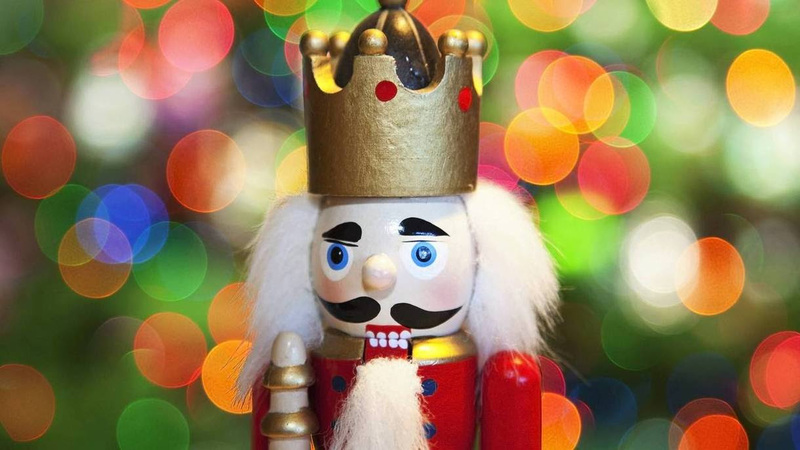 The Nutcracker Suite will be professionally recorded and available for purchase. DVD order forms will be available in the lobby after the shows. Each class will be performing a dance inspired by the Nutcracker! On the day of the performance, students are separated by their class dance. It is very important that you know what dance AND performance (11am, 2pm or both) your child is in. Please feel free to reach out with any questions or concerns either by email, katie.discovery@gmail.com, or by phone, 212-749-8717.